Finding a commercial microwave oven that meets your needs is one of your most important steps when shopping for professional kitchen equipment. You need speed, simplicity, reliability, and good looks! Celco’s line of high-capacity commercial microwaves easily handles all these requirements and more. Here are a few reasons why our commercial food equipment is an ideal fit for your needs. Our high-capacity microwave ovens are powerful enough to rapidly re-heat or cook food, making them an essential part of your commercial restaurant equipment. Whether your customers or staff will be the primary users, Celcook microwave ovens are a breeze to use. Want to make things even simpler? Use our software and a USB connection to program your new commercial food equipment to your own custom specifications! Celcook professional kitchen equipment is built to last. With stainless steel construction inside and out, a grab-and-go handle, and a three-year parts and labour warranty, you'll benefit from the quality and durability you’d expect from commercial restaurant equipment. Clean lines and smart design make cleaning a breeze. You can easily access all areas of your commercial microwave to ensure your food warming equipment is always clean and sanitary. Our food warming equipment may be tough, capable, and reliable – but these units are also nice to look at! Their polished stainless-steel finish will complement any décor. Celco is committed to customer satisfaction. We promise that you'll receive the food warming equipment you need, when you need it. 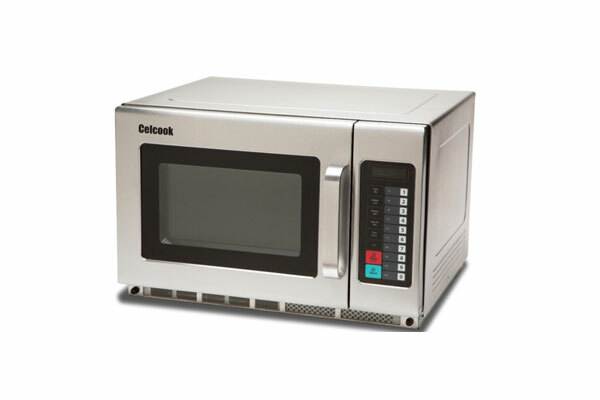 To get the perfect commercial microwave oven, contact Celcook today.